As some had expected based on the timing of last year's Android N announcement, Android O was due sooner or later, and today's the big day: Meet Android O. Which, obviously, doesn't have a full name yet, and probably won't for a long time. So for now, just make up conspiracy theories about those concentric circles up there. 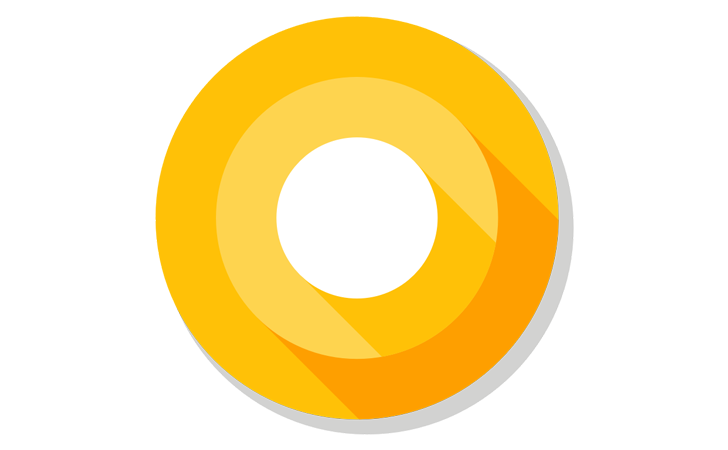 What does Android O do? When can you get it? We'll aim to answer all that in posts to come, and I'll give you the brief summary here. First, when can you get it? Well, Google says Android O developer preview images should be available for flashing soon (they'll be here), but it's not clear when "soon" is, but we'd tend to assume based on last year that means today. The eligible devices are the Nexus 5X, 6P, Nexus Player, Pixel C, Pixel, and Pixel XL (the Nexus 6 and 9 obviously are end-of-lifed, and won't get O). I'll add a link to the images here as soon as we have them - Google notes that these are strictly development images and that they could be very buggy and unstable, and are not suitable for daily use. If you used the early Android N previews, you know they're probably not bluffing on that point. Alright, so what's the deal with Android O? So far, we know a lot, but I would wager that based on what we're seeing at this point that Android O has a lot of evolving to do before we'll really get a clear picture of what it's all about. Most of the changes announced today are under-the-hood stuff aimed at, obviously, developers, rather than consumer-facing things that will change the way your Android device works in some fundamental way. You can read the full blog post here, but I've got a condensed breakdown for you. The first big change is background limits, which will hopefully allow for even greater battery life gains in Android by more strictly limiting what apps and services are allowed to do in the background of the OS. I think we can all get on board with that (documentation here and here). Next is notification channels, one of the few direct user-facing features announced in today's O post. Notification channels will let a developer bundle the types of notification their app produces into types via a standard API, to allow for much more granular control of the types of notifications an app sends you. O will also introduce new notification grouping behavior and a new notification aesthetic, but it's unclear at this point what that means. Here's one you'll cheer for: Android is getting standard Autofill APIs. That means apps like LastPass will finally have a proper, OS-level way to fill in stuff for you. This was sorely needed. Picture in picture video is coming to phones and tablets. It initially launched on Android TV with Nougat. There's also a new windowing feature for apps to use a native overlay window instead of a system alert, as well as support for multi-display so you can launch activities on a remote display (that's neat). It looks like Android will receive Bluetooth aptX support natively in O. Though Google doesn't explicitly say this, we've seen tons of hints about it, so we're pretty sure that's going to be a thing (Google just says "high-quality Bluetooth audio codecs," but aptX is the only one that matters). Sony's LDAC codec is also supported in O. Keyboard navigation will be more strongly supported, with Google saying something kind of vague here about a more "predictable" model for arrow and tab navigation (i.e., an actual model for those things), which is certainly welcome. They mention Android apps on Chrome OS as an impetus here. A new API specifically designed to deliver low-latency audio, AAudio API for Pro Audio, was announced. There's more I haven't mentioned here: Java 8 APIs, WebView enhancements, Wi-Fi NAN, the Telecom framework - and you can read all about them in Google's official blog post, linked at the bottom of this article. As you'd expect, we've got a boatload of feature spotlights lined up for you about O that we'll be cranking out as we get access to the developer previews, so stay tuned. And of course, we welcome you to point out any changes you, our observant reader, spot as well.